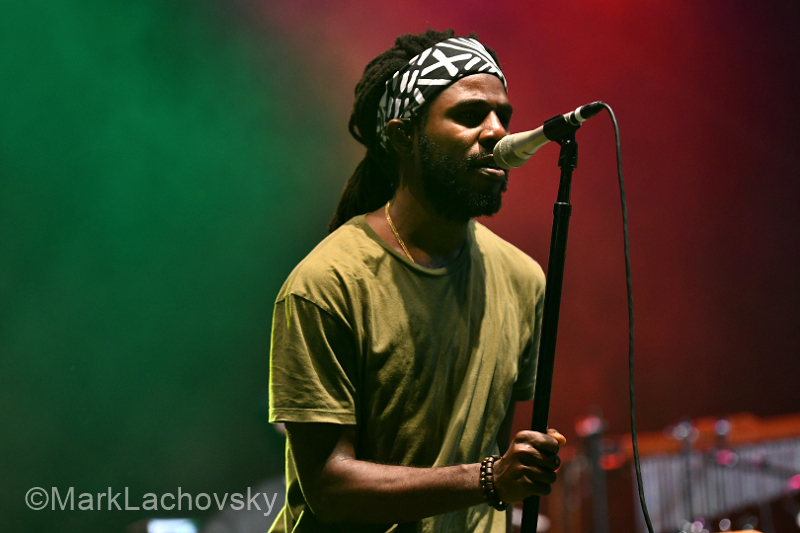 In the midst of the center of US political turmoil was a day of music to sooth souls. 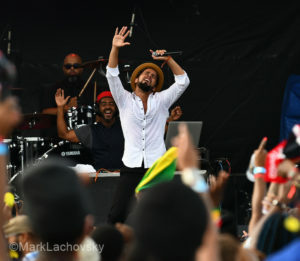 The inaugural DC World Reggae Festival took place in Washington, DC on August 19, 2018. 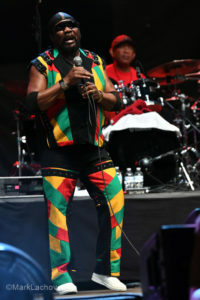 Taking place in the month of August when both Jamaica and Trinidad and Tobago (TnT) celebrate independence. 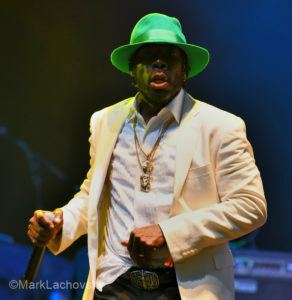 The event was put on by Omar Stephenson a Jamaican with experience in putting on a variety of music shows. The festival venue was an intimate setting held in the parking lot of RFK Stadium. The grounds consisted of a playground for children to enjoy, multiple bars for a selection of refreshments, a large variety of delicious eats and a VIP section. The entire area was easy to navigate and impressive for a first year event. 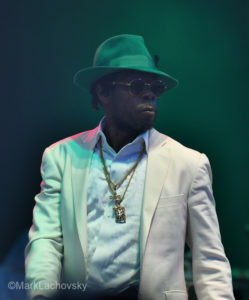 The title of the event intentionally includes the word “World” as the organizers wanted to create an event that is a melting pot for various Caribbean cultures. 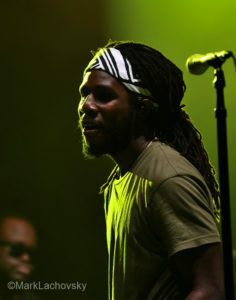 While the focus was on reggae from Jamaica, the lineup included artists from Jamaica, TnT, Barbados as well as local Washington area reggae artists. The event was run like a well oiled clock with the unusual and bold move of posting the detailed schedule. 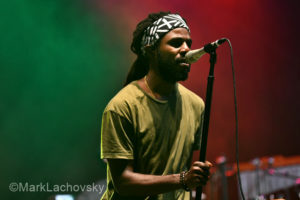 The day started off with some local acts, Ras Slick (Washington) and Jah Works (Baltimore), that were well received, both of whom sounded and looked great. The production crew were very efficient in changing over the on stage equipment while DJs spun a variety of tunes. 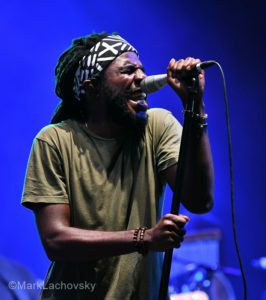 The first act up from Jamaica was Raging Fyah, a five piece band from Kingston. 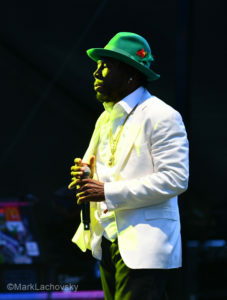 With incredible tightness, the group featured a series of songs that raised the temperature of the day. Incidentally it was a beautifully wonderful summer day, hot with some cloud cover so it was not scorching. Following the first few local acts, a DJ pumped things up with a heavy set of soca music to amp up the energy of the crowd in anticipation of the first headline act, Kes The Band. With a burst of energy the group hit the stage and kept the crowd moving and dancing with many flags from TnT waving around. 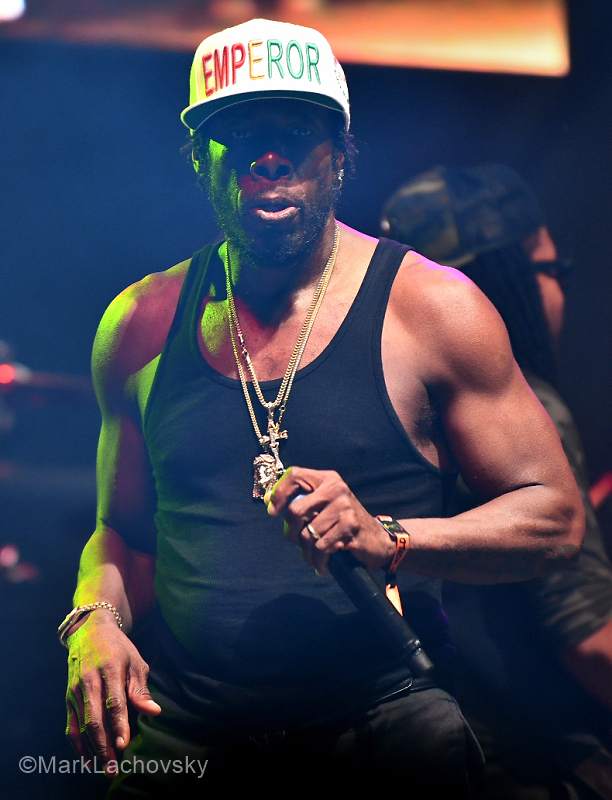 Kes danced and smiled his way through a set of music infused with soca, calypso and reggae. 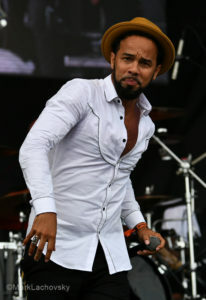 Rupee, a soca artist from Barbados, then came on and continued to work the enthusiastic crowd with his mix of soca including the hit song Tempted to Touch. He had great energy and it was a delight to watch him work the stage. A set change let the crowd catch their breath and get ready for the next artist. Dancehall master Shabba Ranks, decked out in a stylish hat, hit the stage running and pouncing while barking out rapid fire lyrics. With flags and rags in the air, Shabba kept the energy level high with a fantastic set which included all of his more popular songs such as Telephone Love, Twice my Age, Ting a Ling and Mr. Loverman. 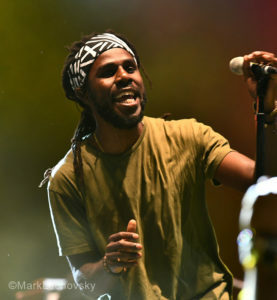 It was then time for reggae youngster Chronixx. 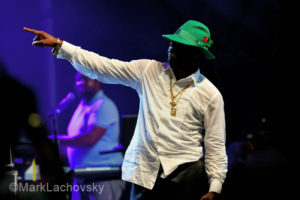 His stage name replaced the name “Little Chronicle” which he was given because of his father, the singer “Chronicle”. 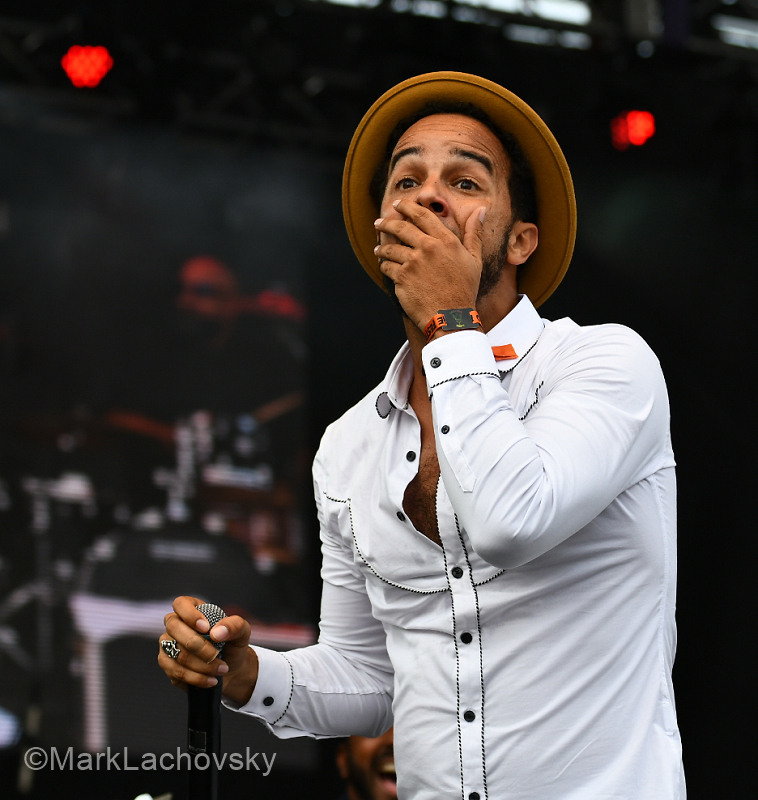 His lyrical content revolves around themes of anti-war, romantic declarations and resiliency. Chronixx has a velvety voice that soothes your soul as you sway to the rhythmic backing band. There is tremendous hope that Chronixx will be a driving force in the reggae world for years to come. 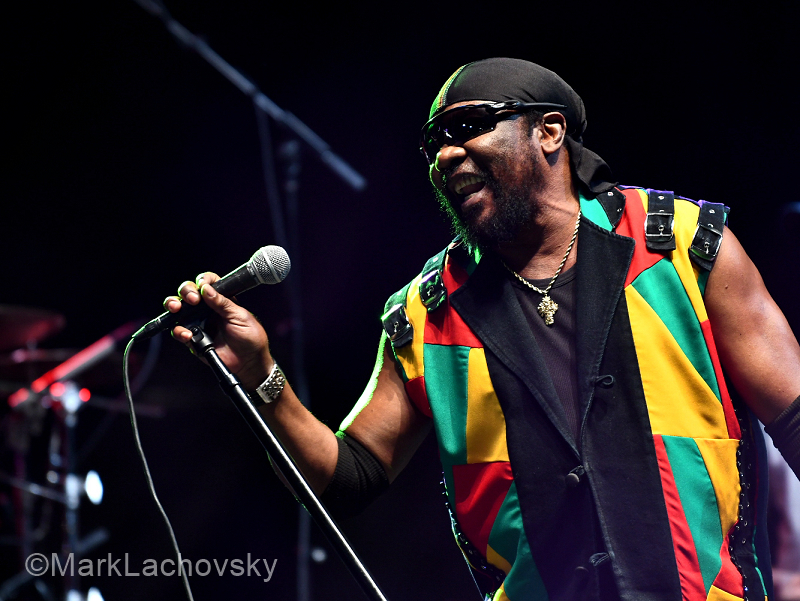 The event closer was Toots and the Maytals, one of the original ska and rocksteady groups from the early 60s. Frontman Toots Hibbert is widely attributed as being the founder of reggae as his song from 1968, Do the Reggay, was the first song to use the word reggae. Toots looked and sounded fantastic as he ran through a selection of well known songs while the sensational band supported him. A beautiful ending to a fantastic day of music…organizers have already set the date for next year’s festival: August 18, 2019, see you there!